Originally used as stage make up, Ben Nye's Banana Powder has quickly become renowned thanks to Kim Kardashian's makeup artist, who uses this powder to fix her under eye concealer. There are various sizes available, from the smallest one I got to the larger tub, but I am quite happy with the amount of product I got because I know that it will take me ages to use it all up. 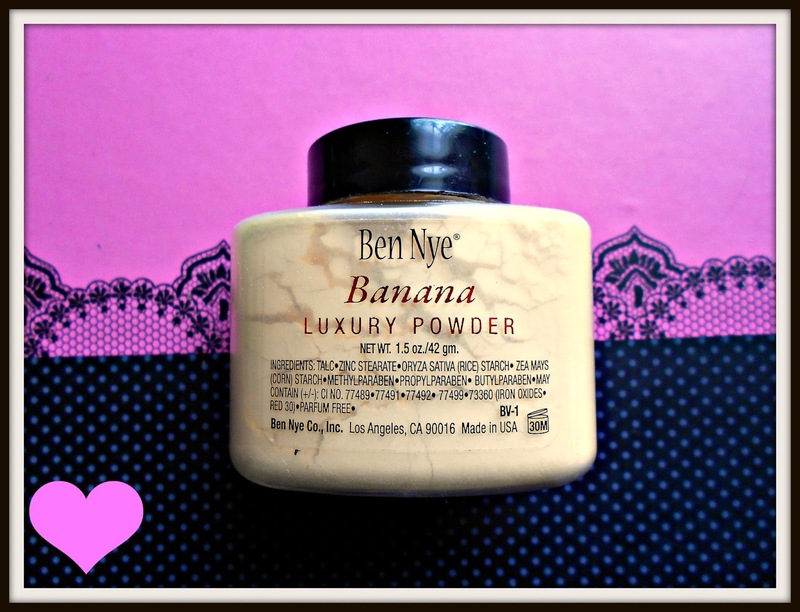 The banana powder is a fine, yellowish setting powder which is excellent for any yellow toned skins like mine - it blends really well. There are also different coloured luxury powders from Ben Nye which you can try if you think that the yellow tone will show up on your skin - which I doubt will. You can use this powder to set your concealer, highlight your face or as an over all face powder. I find that my skin is illuminated and stays matte all day long thanks to this baby. There's no need to apply a lot - remember that this was originally intended to be used on stage, so a little product goes a long way. The only downside to this size is the sifter: trying to get the product on a powder or kabuki brush can become quite messy if you're not careful. If you find it too messy, you can always open the containers and put it in a different jar. All in all, I think this is quite good value for money and it will become one of my favourite loose powders for sure! What do you think? Are you tempted to try it? ohhh i really want this!hope it goes back on stock soon!